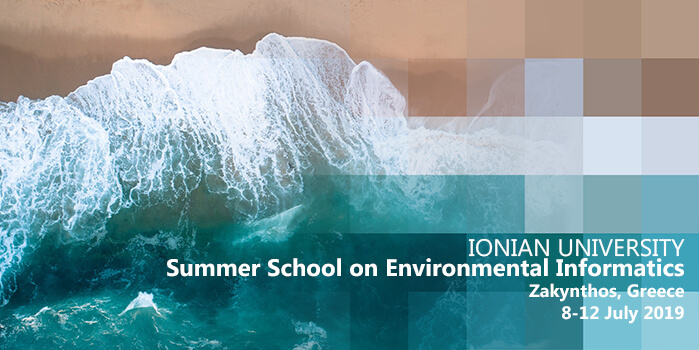 The Department of Informatics and the Department of Environment of the Ionian University are organizing an inaugural Summer School on Environmental Informatics in Zakynthos, Greece, between 8-12 July 2019. The Department of the Environment and the Department of Archives, Library Science and Museology of the Ionian University organise for the first time a Summer School on “Excavation Techniques, First Aid and Preventive Conservation”. The Department of Environment launches its new website, at the address: https://envi.ionio.gr. The Department of Environment offers high level education in the subject of the natural environment using an interdisciplinary - cross-thematic approach. The individual objectives are achieved through the teaching of theory and laboratory courses as well as the research work carried out using indoor and outdoor equipment and concern the provision of theoretical and applied knowledge and/or the development of skills.